My HDD Speed is a free-to-use HD speed monitor and speed tester that provides the performance of HD in real time in a small window. It is one of the best software that can read and write the speed instantly. Just right-click on the hard drive and test its performance. Besides testing, many other functions are also performed by My HDD Speed. The software is totally free and can be used in any home, work or school computer. The experts at LaptopJudge have also picked this software as the best software for HDD speed testing. 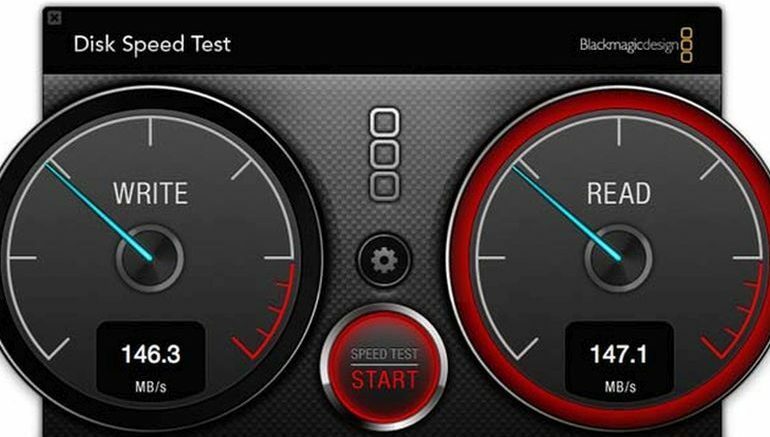 ATTO Disk Benchmark is a free speed tester software that can test HD, SSD drives, HBAs, Raid Adapters, and Storage Controllers. It is compatible with all versions of Microsoft Windows. Use ATTO Disk Benchmark and measure your storage systems performance with various transfer sizes and test lengths for reads and writes. Specifications include transfer sizes from 512KB to 8MB; transfer lengths from 65KB to 2GB; support for overlapped I/O, etc. CrystalDiskMark is another disk benchmark software. CrystalDiskMark can measure the sequential reads/writes speed in real time. It can measure randomly 512Kb, 4KB, 4KB (Queue Depth=32) reads/writes speed. Select test data (Random, 0Fill, 1Fill). Moreover, multi languages are supported by CrystalDiskMark. Various themes of multiple designs are integrated into it. AS SSD Benchmark determines the performance of hard disk and SSD drives. The software includes six synthetic and three copy tests. The synthetic tests determine the sequential and random read and write performance of HD and SSD. These tests are performed without using the operating system cache. In the sequential test, the program measures how long it takes to read a 1 GB file respectively to write. In the 4K test, the read and write performance at randomly selected 4K blocks is determined. Anvil’s Storage Utilities is a tool to assess the read and write performance of HD and SSD. This software enables you to monitor and check the response time of your machinery and view the system information collected using Windows Management Instrumentation (WMI). This software has been developed to provide the most comprehensive and detailed information on HD and SSD. Which hard disk speed testing software do you want to use? This is a guest post contributed by Irma Smith. If you like this article, you can read her next article – “How to buy the best lap desk” here.